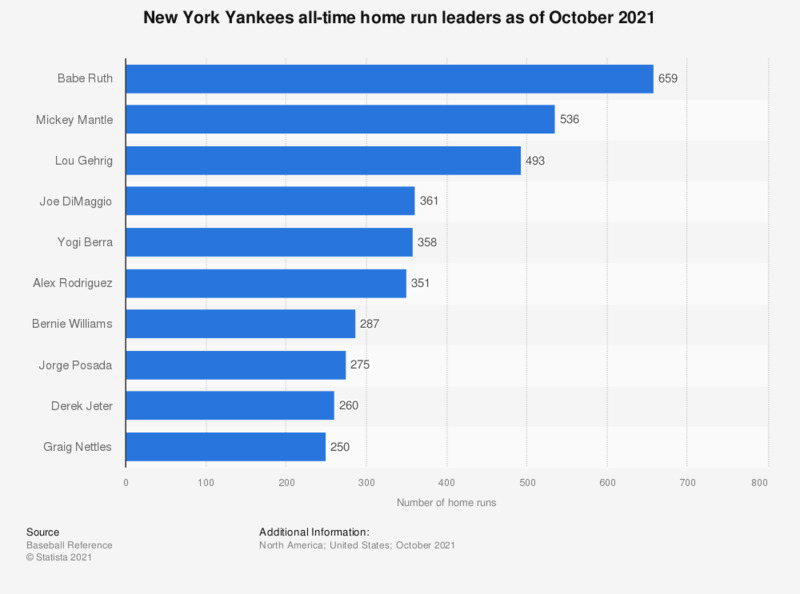 This statistic shows the New York Yankees all-time home run leaders as of September 30th, 2018. Babe Ruth has hit the most home runs in New York Yankees franchise history with 659 home runs. Everything On "New York Yankees" in One Document: Edited and Divided into Handy Chapters. Including Detailed References. Statistics on "New York Yankees"